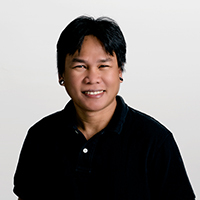 Maurice enjoys helping clients transform their spaces, improving both their function and aesthetics. Seeing the dramatic changes the Archadeck Team is able to accomplish each day keeps him inspired, and allows him to enjoy working on each project. 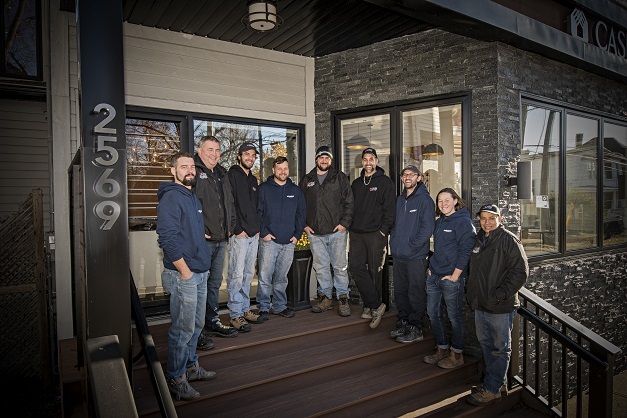 Opening the company doors in 2003, Maurice wanted to provide homeowners with custom-designed and custom-built outdoor living spaces. 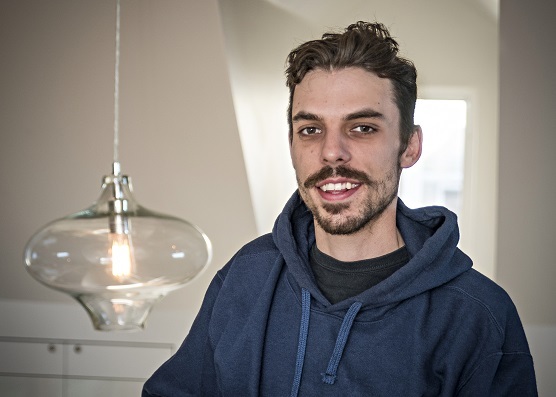 He prides himself on listening to clients’ needs, and collaborating to provide a solution for each unique home. Contact Maurice. 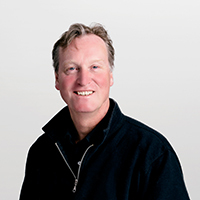 Roeland moved has been working in design and architecture for over 30 years, and still approaches each new project with a clear mind and a keen outlook. He likes to see the space through the eyes of the homeowner and listen to their needs before offering solutions. By combining his expansive vision of design with his precise approach, Roeland creates projects with a timeless quality and lasting appeal. 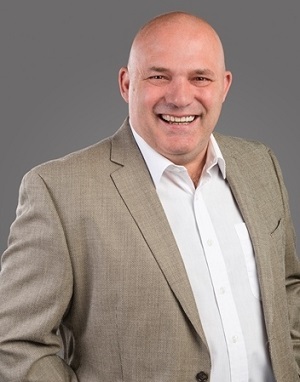 He prides himself on offering beautiful and efficient design solutions, uniquely suited to meet clients’ needs and budgets. Roeland always looks forward to a new project and meeting people he wouldn’t normally get to meet otherwise. Contact Roeland. 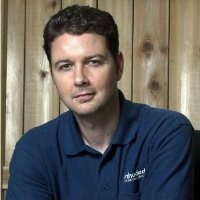 Dan has over 6 years experience with Archadeck, first as a project manager then as a Project Developer. 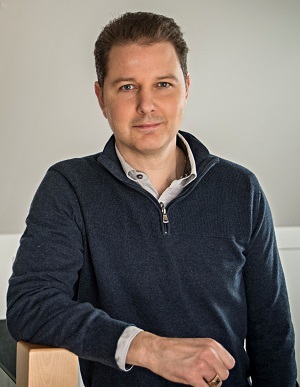 Marrying the design to function and aesthetics while meeting the clients wants and needs in a collaborative approach is something Dan takes great pride in. 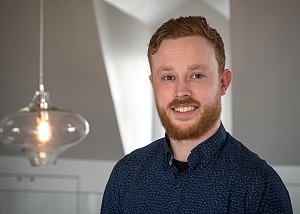 As a trusted advisor Dan will make sure a client’s vision is translated into a client’s dream design and transform their outdoor space into an extension of their home’s living space to be enjoyed for years to come. Contact Dan. 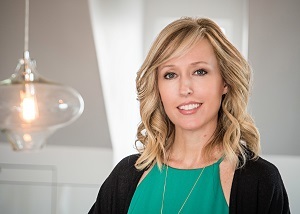 With over 15 years in the industry, Tiffany uses her passion for design and strong eye for detail to help turn her clients remodeling dreams into a reality. She loves the challenge that each unique home brings and helping clients work through all the details to come up with a functional and beautiful design solution. 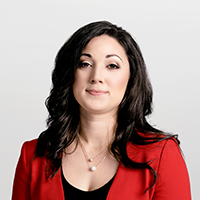 Tiffany enjoys working together with the Archadeck team to complete successful projects and refine designs to make the client’s vision come to life. 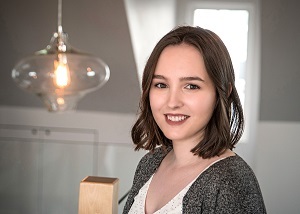 Laura began working for Archadeck in 2016, she has a knack for clearly explaining the company’s processes to make sure everyone understands our full design and build service. She always looks forward to meeting homeowners and learning about their goals for their outdoor living project. The function of the space is very important to her and is communicated through the design phase. She loves the rewarding feeling of seeing the homeowners projects progress from concept to completion. Contact Laura. Amy is the glue that holds the Archadeck team and their projects together. She has extraordinary organization skills and her attention to detail is second to none. She works from both her creative and analytical brain, ensuring that projects are not only beautiful but practical, functional, on-time, and on-budget. With us since the doors opened, Amy began as an architectural draft-person and designer – her knowledge of company processes and past projects is invaluable. She’s passionate about making the building process as seamless as possible for our customers and building effective teams to provide the value and service our clients expect. Contact Amy. 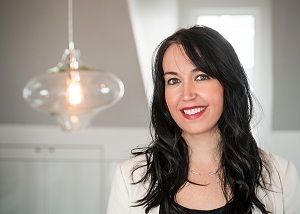 Kristen is a strong creative thinker and has been passionate about residential design since she was young. Her kind nature and detail oriented eye for design shines through in everything she does. Kristen’s organizational skills and ability to plan functional spaces create beautiful but also practical designs. She is always excited to hear homeowner’s ideas and to help turn the existing space into their dream home. She enjoys learning and is eager to grow with the Case team. Contact Kristen. Maggie enjoys utilizing her creativity to give clients the best design solution to every renovation challenge. Her classic style, in combination with her knowledge of construction practices, provide homeowners with confidence each step of the way. Maggie’s award-winning design skills lend themselves perfectly toward her passion for planning functional living spaces. She values developing successful projects with her teammates that leave clients satisfied that their home is in good hands. Contact Maggie. Erin’s attention to detail and commitment to each project is first-rate. He tackles construction obstacles with ease and always offers innovative solutions. Erin has worked in the industry for close to 20 years and holds himself and his teammates to the highest standard when completing each job. 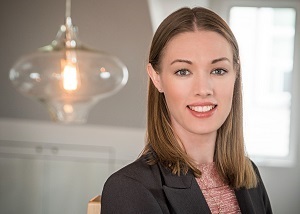 Erin enjoys meeting new clients and seeing their projects through to completion. Peter has always been interested in working with his hands, so home renovations were a natural transition. You will find him at each project site with his head down in quiet determination to get the job done – and done well. 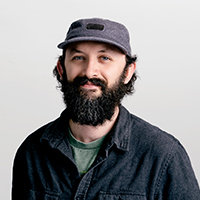 For over 12 years, he’s been dedicated to solving building challenges and seeing each project through until everyone is satisfied. Romil is an experienced carpenter and cabinet maker and has been applying his unique trade skill to our team for over six years. Romil finds his position meaningful and enjoys challenging projects as it enables him to learn more. Andrew has always been hands-on when it comes to learning! He enjoys working with the Archadeck team to help improve his skills and gain more industry knowledge. He loves seeing the progress on each project and works hard to only gather and deliver the best quality materials for the clients. Wendy works tirelessly behind the scenes to make sure the office run smoothly. She is an important part of the success of this company and in growing and nurturing its first-rate team. 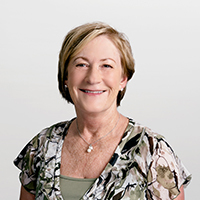 Her genuine and kind attitude shines through in all she does, from working with staff to interacting with clients – Wendy is passionate about creating a positive impact on people’s lives. She truly enjoys meeting each client along the path to their dream home and outdoor living spaces. Contact Wendy. Elaine runs a tight ship and keeps us all on track. Her analytical mind and keen attention to detail make her the perfect fit for managing the ins-and-outs of the company finances. She enjoys watching every new and project unfold from beginning to end. Each day, project estimates, supplier quotes, contractor time sheets and company expenses cross her desk in a frenzy; but Elaine keeps control and accurately organizes it all with calm composure and meticulous technique. She has worked in this industry for over 20 years and is proud to be a part of the hard-working Archadeck team. Contact Elaine. 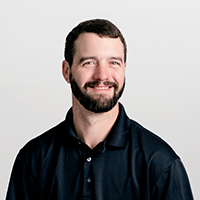 Chase has been in the industry for over 5 years and puts his detailed understanding of the construction industry to good use. 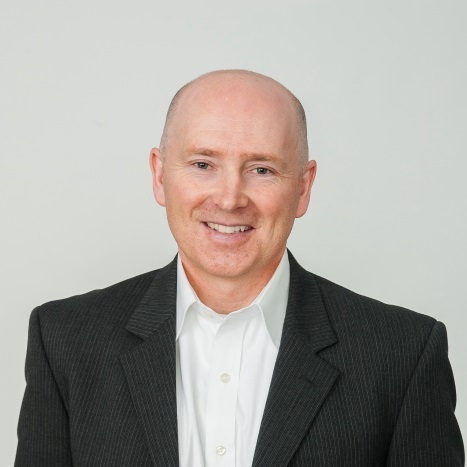 His experience and keen sense of detail make him ideal for precisely estimating projects. Full of charisma and creativity, Chase is excited take each new challenge head-on. He really enjoys the construction process and looks forward to helping clients get closer to their dream home. Contact Chase. 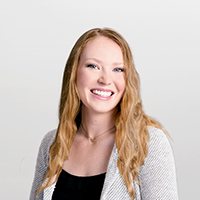 Lauren strives to make our Archadeck clients happy by coordinating materials and labor to construction projects, working closely with the construction manager to ensure projects move smoothly and meet deadlines. Lauren’s knowledge in architectural design, time management and the desire to learn and grow, continues to be an asset to the team. No matter the task, she is always doing her best to proactively problem solve and guarantee project managers have one less thing to worry about.